Everyone knows the best part of being a school teacher is the summer season and having three boys we do a lot of camping! My wife likes to plan our family trips and she had an eye on Northern California. By coincidence my Boy Scout Troop was also planning a family rafting expedition around the same time, so we combined the trips and added a couple extra days for just family events. Well, I'm now back from the trip and although it's nice to have a shower and a bed, I do miss the fun. Over the next few days as I go through the photos, I'll try and give you a little taste of our trip. We live on the Central Coast of California and the rafting trip was up on the Klamath River near the Oregon Border. That's about a 10 1/2 hour drive, so we figured we'd take it slow and see a couple things along the way and go up the 101 Freeway instead of I-5. Our first stop on the way up was San Francisco for lunch. 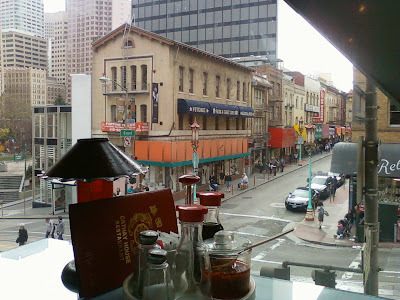 We all enjoy Chinatown. The boys like the novelty shops, their mother wanted a new purse, I enjoy seeing something a little different, and we all like the food, so it was an easy choice. 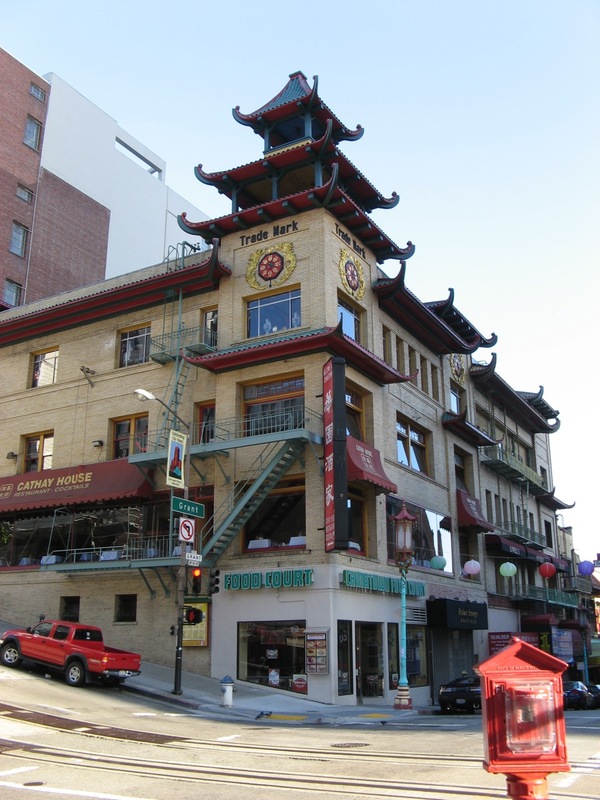 The last time we were in San Francisco, we ate at his place called Cathay House at the corner of California and Grant Streets and enjoyed it. Since we were short on time, we stopped by for a return visit. Kristine had found a favorite purse last year at a shop around the corner on Grant Street, so she wanted something similar. She found several she liked, but settled on two. The boys and I looked at the knick knack shops instead. After leaving Chinatown, we make a quick stop at Fisherman's Wharf for some fresh sourdough and then headed over the Golden Gate Bridge. I am looking forward to the next episodes! Sounds wonderful. Family trips are the best....especially when you are Shunpiking. Our summer is starting with warnings to stay inside - Fontenelle Fire in western Wyo is now over 12,000 acres. Orange, twilight & very smokey outside, but at least it is in a forest, not like Colorado. Rob, I was thinking of your blog when I considered announcing what was coming next. Judi, here in California we have almost no toll roads, so it's easy to shunpike, but when I've traveled back East, I try to avoid the pay roads if I can. Pride and family belong together. Great pictures, looking forward for more. Thanks, Nate. Great begin downloading the application. Mobdro computer system from over web link offered. Fine.